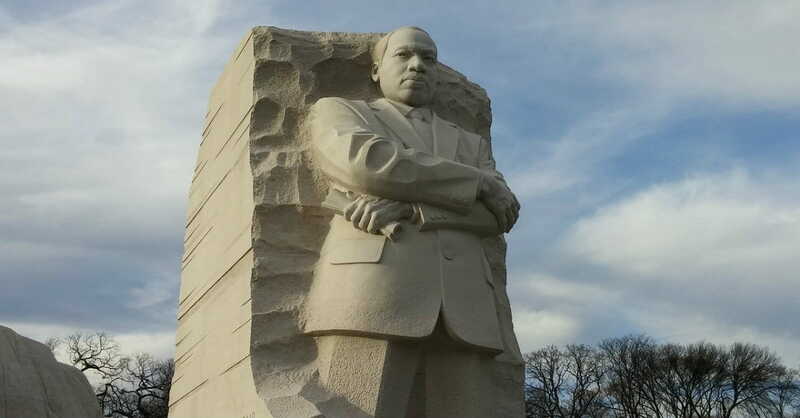 Today is Martin Luther King Jr. Day in the United States, the day when we commemorate the civil rights leader, who was also an ordained Baptist pastor. I’ve written before about MLK Jr.’s letter to fellow pastors from his jail cell in Birmingham, and about his most famous speech. 55 years ago, Martin Luther King Jr. wrote a letter to fellow pastors from a jail cell in Birmingham, where he sat because of a non-violence “sit-in” protest. He wrote the letter mostly on pieces of toilet paper and scraps of newspaper. Here are some excerpts of that message which every Christian would do well to read today. “Though I was initially disappointed at being categorized as an extremist, as I continued to think about the matter I gradually gained a measure of satisfaction from the label. Was not Jesus an extremist for love: “Love your enemies, bless them that curse you, do good to them that hate you, and pray for them which despitefully use you, and persecute you.” Was not Amos an extremist for justice: “Let justice roll down like waters and righteousness like an ever flowing stream.” Was not Paul an extremist for the Christian gospel: “I bear in my body the marks of the Lord Jesus.” Was not Martin Luther an extremist: “Here I stand; I cannot do otherwise, so help me God.” And John Bunyan: “I will stay in jail to the end of my days before I make a butchery of my conscience.” And Abraham Lincoln: “This nation cannot survive half slave and half free.” And Thomas Jefferson: “We hold these truths to be self evident, that all men are created equal . . .” So the question is not whether we will be extremists, but what kind of extremists we will be. Will we be extremists for hate or for love? Will we be extremists for the preservation of injustice or for the extension of justice? In that dramatic scene on Calvary’s hill three men were crucified. We must never forget that all three were crucified for the same crime–the crime of extremism. Two were extremists for immorality, and thus fell below their environment. The other, Jesus Christ, was an extremist for love, truth and goodness, and thereby rose above his environment. Perhaps the South, the nation and the world are in dire need of creative extremists. I have wept over the laxity of the church. But be assured that my tears have been tears of love. There can be no deep disappointment where there is not deep love. Yes, I love the church. But the judgment of God is upon the church as never before. If today’s church does not recapture the sacrificial spirit of the early church, it will lose its authenticity, forfeit the loyalty of millions, and be dismissed as an irrelevant social club with no meaning for the twentieth century. 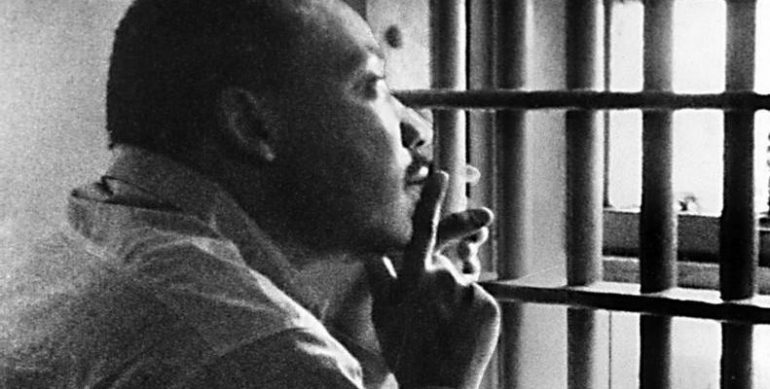 For the full text of Martin Luther King Jr.’s “Letter from a Birmingham Jail,” click here.